Actress Jacqueline Fernandez is ringing in her 32nd birthday today. The actress is currently in Budapest shooting for an advertisement with Kartik Aaryan. Bang Bang fame director Siddharth Anand is directing the advertisement that is set to hit your TV screens soon. If latest reports are to be believed, Jacqueline has also been signed for the Hindi remake of Kirik Party alongside Kartik Aaryan, the shooting of which is slated to go on floors soon. The year 2018 began on a high note for Jacqueline; she starred opposite Salman Khan in one of this year's biggest blockbuster 'Race 3'. She also accompanied Salman, Katrina, Sonakshi for the Dabangg World tour. 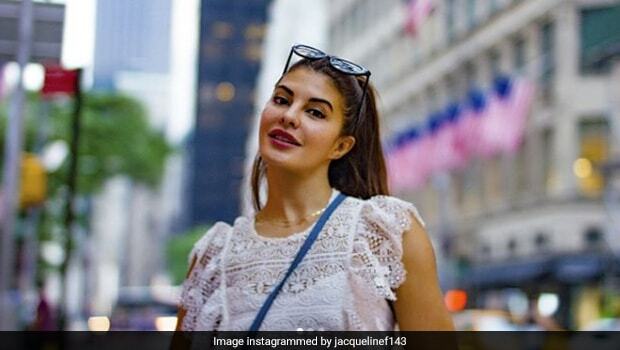 Jacqueline, who made her Bollywood debut in the year 2009 with Alladin, has sure come a long way. Former Sri Lankan beauty Jacqueline has starred in many blockbusters such as Housefull 2, Kick, Murder 2, Housefull 3, Judwa 2 and Dishoom. Alongside her screen acting career, Fernandez has also worked as a judge in the ninth season of the dance reality show Jhalak Dikhhla Jaa. With a following of 20.5 million on Instagram, Jacqueline is a social media superstar. Be it for her gorgeous skin, fab body or amazing style, Jacqueline always manages to grab eyeballs. Ever wondered what goes into the diet and fitness regime of the actor? We have got some secrets you can make note of. 1. Jacqueline in an interview revealed that she starts her day with a lot of water and tries to drink up as much as she can in the morning itself. She credits her daily intake of water as the secret to her good skin and health. 2. Jacqueline loves her breakfast. A healthy breakfast is key for a fit lifestyle, she believes. Her breakfast also happens to be her favourite meal of the day. She loves to eat egg whites, granola, peanut butter, smoothie, pancakes for breakfast, Fernandez revealed in an interview to popular film site. 3. Jacqueline prefers to have her last meal by seven or eight in the evening. An early dinner is good for digestion, and anything that is good for digestion is good for weight loss too. 4. In one of her television interviews released on YouTube, she admits to being a total workout junkie. "I make it a point to exercise at least an hour a day and like to shake things up a bit. I don't do the same kind of workout daily but choose from yoga, dance, gym or some kind of cardio." 5. Jacqueline does cheat occasionally too, but makes it a point to workout extra next day to burn up those extra calories. Her favourite cheat treats are pizzas and croissants. 6. For lunch, she loves to keep things light and healthy; so one would find a lot of quinoa, brown rice, veggies, beans and greens in her typical lunch. Her dinner is not very different from her lunch, except that she often complements it with a hearty vegetable soup. She eats a lot of steamed and grilled food during her supper. Her diet is mostly alkaline. 7. She eats lots of fruits like berries and oranges for antioxidants. One can also see her munching on nuts. 8. She steers clear of sugar and even bakes her own bread. Her Instagram feed is also loaded with a lot of food; some healthy and some outright indulgent. Here are some of our favourite foodie posts from Jacqueline. Jacqueline loves all things coastal. 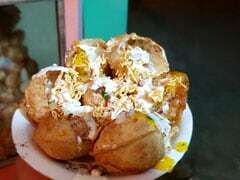 This yam preparation in coconut is proof. That's her sipping into her favourite coconut water by the beachside. She also owns a restaurant in Colombo, which goes by the name Kaema Sutra and offers authentic Sri Lankan food. "So excited to announce my first restaurant @kaemasutra with @dharshanmunidasa is now open in the brand new @shangrilacolombo bringing you the yummiest #srilankancuisine see you there!!! #foodismyfirstlove", she captioned this image. Just look at that foodie banter between her and her Judwa 2 co-star Varun Dhawan. That's her sipping into some delicious and healthy pomegranate juice in Jerusalem. We cannot decide which way to look; her plate full of croissants and waffles or the contagious glee on her face! Here's wishing Jacqueline a very happy birthday. May you get to enjoy all your favourite treats for the day.